I presented a talk on the psychological and technological aspects of compatibility testing at the iDate conference in LA earlier this summer. After the talk, industry insider Dave Evans of www.OnlineDatingPost.com introduced me to a new company called “MatchMatrix” that offered a new approach to matchmaking. They took me through a demo, and I was impressed with the passion and enthusiasm they had for their service. Even more impressive, they agreed to a scientific test of their system using a legitimate experimental protocol. Now that’s rare! The transparency with which they run their service motivated me to learn more. Online Dating Magazine will share the results of that study in a future article, but first I wanted to introduce you to this new service. This article is neither an endorsement of the service by me nor by Online Dating Magazine. Rather, this installment aims to review this controversial, new idea in compatibility testing. I look forward to any comments or feedback you have. Tell us about your company and how it began. MatchMatrix offers a unique system for understanding the energetic compatibility of every relationship in a simple and direct way. After his fourth divorce in 1975 Richard Nelson began the compatibility research for MatchMatrix. He was determined to never go through that pain again and committed his life to figuring out what runs relationships. In 1980 Richard met Frank Seifert. They became close friends, had the same vision for the information that would become MatchMatrix and they worked together to develop the technology. 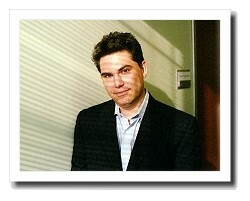 Larry Michel joined the company in 2006 as a product specialist and after extensive due diligence became a partner. The key factors for compatibility and attractions are found below the conscious mind at the core of a person's human nature. Each person has an energetic pattern that defines their human nature; that pattern never changes. The patterns are fixed so the data could be assembled into a Matrix for consistently predictable matching. MatchMatrix is not the result of a mental process so this new energetic information supplements and supports all opinion based questionnaires. Not only does MatchMatrix identify each person’s energetic personality profile, it also analyzes the dynamics of a third energy pattern that is created when two people merge their energetic patterns in a relationship. There are four personality Lifestyle traits. When they share the same trait it creates an open channel of connection that supports the relationship; when they share different traits the channel is blocked and that trait becomes a source of conflict and challenge. MatchMatrix can define and accurately predict misalignments in the energetic dimension that are the source of many of the challenging surprises in a relationship. You match people based on a birth date, so many people will assume your service is grounded in astrology. What are the facts? In his early research Richard Nelson considered astrology as a way to explain compatibility. He concluded it did not address the issues in a practical and easily accessible way. So he created his own system. He looked to the cycles of nature for an understanding of energy. He also drew on quantum physics and quantum biology to explain the unification of nature and the energetic connection we all share. He chose birthdates as an access point to MatchMatrix to have a universal way for every person to benefit from this information. Not astrology or numerology, MatchMatrix does not require a place or time of birth. Those two elements are mandatory for astrologers so they see MatchMatrix as a new source for understanding relationships. They are consistently amazed at the detailed accuracy of MatchMatrix and its ability to define the complex elements of compatibility in a simple and direct way. As a result, many are combining the energetic information from the MatchMatrix reports with their Astrological indicators to better serve their clients. What research went into this matching system and how accurate is it? Over 30 years went into developing the unique MatchMatrix energetic approach to understanding relationships. Richard Nelson was an engineer and efficiency consultant. The skills he developed in efficiency served him well for crystallizing the MatchMatrix system. He was able to observe the finest detail, draw conclusions and make recommendations. He was a student of the great inventors. Richard often referenced Einstein’s saying that "Imagination is more important than knowledge." Einstein, Thomas Edison and other great inventors were able to visualize what they wanted in great detail in their minds then bring it into reality; Richard Nelson followed the same creative process. The MatchMatrix system has been extensively field tested over the years to support its compatibility principles. This empirical data has proven to be remarkably accurate. Dr. James Houran's "Office Hours with Dr. Jim" column is published every Monday.